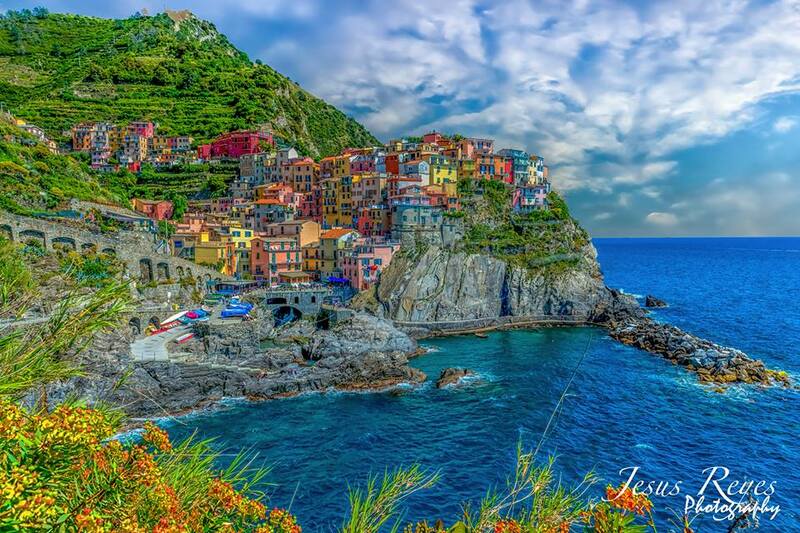 The Cinque Terre walks are spectacular but they get really full in June, July and August so, if you can, it's better to try and visit in May or September. 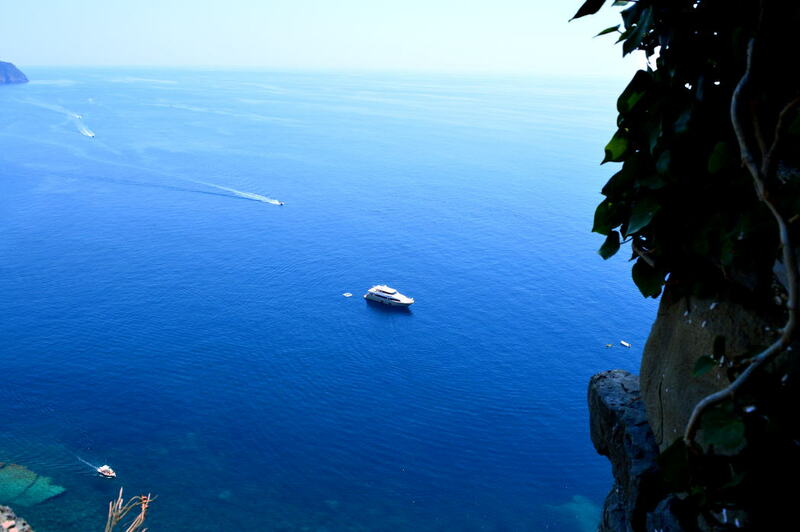 In June, July and August I prefer those little known walks around the Gulf of Poets and Tellaro. Should you not be able to visit the Cinque Terre at any other time except peak summer season then come anyway, even crowded the walks are still unforgettably beautiful. The other thing with the walks is that they are very dependent on the weather, if it's raining or has rained recently then they are often closed. You can check the status at any of the Information Centres located in all five Cinque Terre towns, Levanto and La Spezia. Because the walks are all in a National Park you need to pay an entrance fee, the best solution is to buy the Carta Treno Multiservizi. You can buy it at any station on the Cinque Terre or the one in Levanto and it allows you access to all the walks, all day free train travel up and down between Levanto and the Cinque Terre towns, free use of the buses, including that up to Corniglia (which will save you a 400 step walk), and free WiFi. If you're doing the walks in the summer a good idea is to start from Monterosso after lunch, that way you'll have the sun at your back and you'll arrive in Riomaggiore in time to see the sunset over the little harbour. 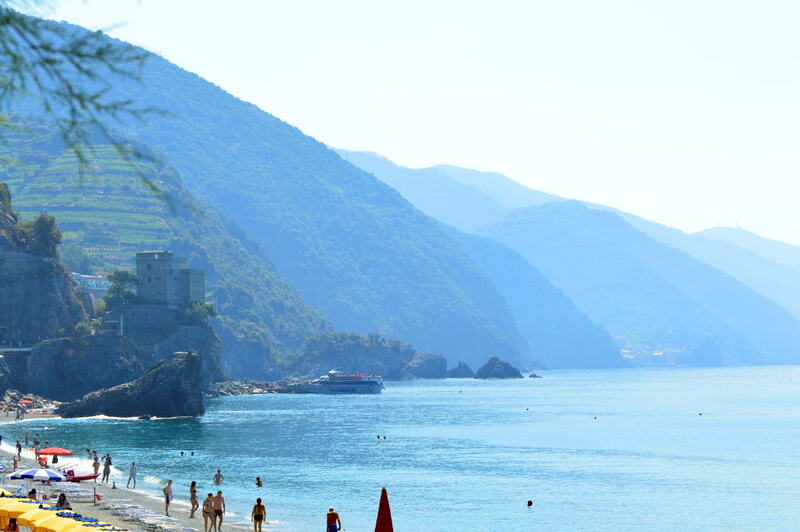 By the way, Levanto is a great base to explore the Cinque Terre. We normally stay at the Oasi Hotel. This is the longest of the trails (3.6 kilometres) and takes around two hours. It's pretty easy going but does get a bit narrow at times and can be hair-raising if you're on a narrow bit and 500 cruise liner passengers suddenly approach from the other direction. I'm not the fittest but I manage to do the walk without stopping too often to catch my breath, the only slightly difficult part is the climb just after leaving Monterosso. 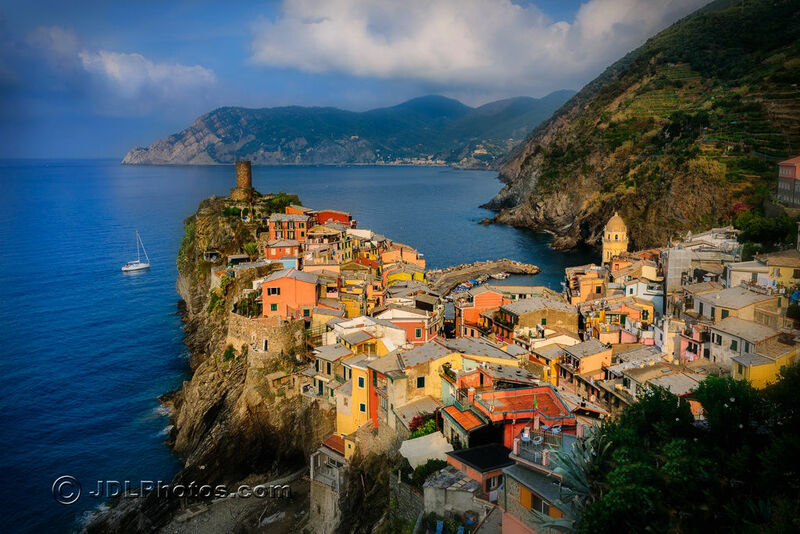 The view of Monterosso as you look back and then the view of Vernazza below as you descend. Although it's slightly shorter than the previous walk (3.4 kilometres) I find this one harder and it takes me a little over two hours, mainly because I stop to admire the views and to catch my breath during the steep climb out of Vernazza. Some of the trail can be very narrow though, pretty rough, and passing can be difficult at times. The view, looking back towards Vernazza, as you climb is one of the most beautiful you'll ever see and the walk itself, through olive groves and vineyards, is truly dreamy. Once you reach the peak you'll have climbed around 220 meters from when you left Vernazza and the good news is that the rest of the walk is downhill. Well there are a few little bits that ascend but it's nothing as compared to that first bit. The view across vineyards and sea towards Corniglia near the end of the walk is beautiful too. Definitely the view looking back towards Vernazza on that first climb. This is the best of all the walks so if you want to do only one walk then do this one. One of the easiest walks, without many steep climbs. It is a little under three kilometers but will only take an hour and a half at most. The scenery on this stretch is less impressive and if you'd like to leave out one of the walks then this is the one I'd choose. The famous Via dell'Amore, as it is known, is a walk in the park. The path is well paved, no uphill climbs are involved, it's only a kilometer in distance and the walk won't take more than thirty minutes. Maybe because of the name, or because of the easiness of the route, it is the most popular walk. It's lovely but nowhere near as good as the first two walks on this page so don't worry if it is closed (which it probably will be as the work to repair it seems never-ending) - you haven't missed much really. 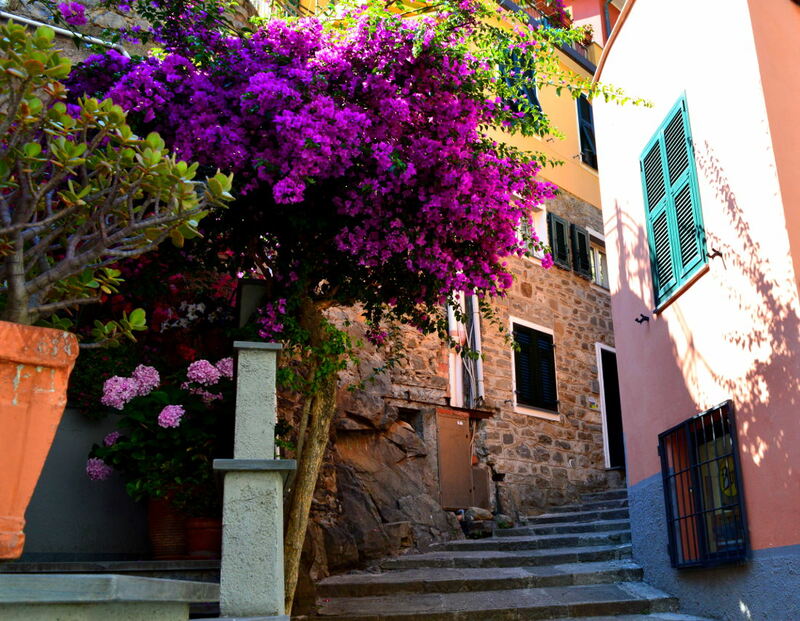 Being in love, being in Italy, being on the Via dell'Amore.